Honestly, I don’t know if Ones and Sixes, the title for Low’s eleventh album, stands for comparing two things that are the same. However, what I do know is that the slowcore grandmasters Alan Sparhawk and Mimi Parker have been going at it for quite some time now. Since the 90s they have been building up a mesmerizing repertoire that never reached the mainstreams. Low’s tranquil orbit indeed isn’t for everyone but it’s also never too late to get acquainted, though. The Long Division (1995) and Things We Lost in the Fire (2001) are among my favorite Low albums. It was a period in which Sparhawk and Parker (with a different bassist) excelled in creating very modest and quiet but chilling themes and were branded as a slowcore band. In a short lived struggle to break free from this stigmata the band released the more rough edged The Great Destroyer in 2005. Reactions were mixed so the band decided to continue to develop themselves in the margins, returning to the familiar slow tempoed arrangements which is sometimes added with minimalistic electronica (e.g. Drums and Guns, 2007). Low therefore is not a very progressive band, but have created a comfortable playground to continuously reinvent. ‘Gentle’ and ‘No Comprende’ are among the strongest opening songs from Low I heard in recent years. ‘Gentle’ seems delicate but is in fact an attempt to control the uncontrolled. Under pressure of some dosed sharp industrial electronica the couple gloomingly and randomly let’s go word after word which eventually is brought back to rest by Parker’s soothing voice. On ‘No Comprende’ Low shows a whole different yet familiar side of itself. With curt and arrangements the atmosphere becomes blunt as slowly the song stamps on but is held up by a short silence after three minutes only to burst out into total discomfort. After only two tracks in Low breaths out an dense sort of warmth that makes me eager for more. Unfortunately the trio doesn’t continue on this path. Instead gracefulness and lightness take over. Also most songs are highlighted with distorted effects, keyboards of new wavy sounding guitars. ‘Congregation’ and ‘No End’ are airy tracks that lack excitement. This also goes for the seemingly uninspired ‘What Part of Me’, which is no more than a dutiful three minute pop standard based on one sentence. Together with the crude drum machine the lyrically threatening ‘The Innocents’ brings back the tension: “To begin with, there’s the two of us. Never minding the world. With the armor of a few of us. Losing everything to hope”. When Ones and Sixes near it’s end I can’t escape the feeling that the band is struggling. ‘Kid in the Corner’ is logical new wave-styled continuation of the brought back tension, however, ‘Lies’ surprisingly excels in catchiness, in a toe-curling manner that is. On top of that the band’s two last tracks deeply plunge us into a long lasting darkness. 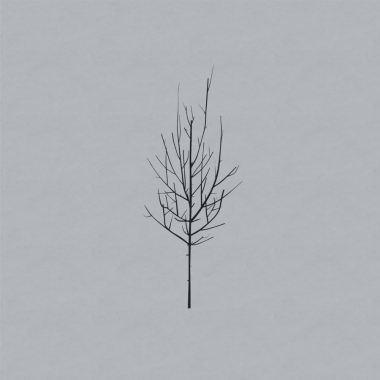 In the nearly ten minutes of ‘Landside’ and the unhurried closer ‘DJ’ we are treated with the mysterious iciness from Low’s early years. Reflecting on the whole I would conclude that Sparhawk et al are veteran musicians who are struggling for some commercial attention. Repetitive phrasing is heard more than often on Ones and Sixes. Furthermore joining in on the renewed attention for 80s new wave is not something fits the band’s track record. Metaphorically speaking Low is walking on the thin line of wanting to attract a new audience without estranging themselves from its longtime fans. This eleventh studio album therefore is not an essential yet does offer enough creativity in the details to be enjoyed. This entry was posted in WRM and tagged 2015, Alan Sparhawk, cd, Drums and Guns, Low, Mimi Parker, Ones and Sixes, review, Slowcore, Sub Pop, The Great Destroyer, The Long Division, Things We Lost in the Fire. Bookmark the permalink.